Last night I had the TV on in the background and turned to TCM, one of my favourite channels. 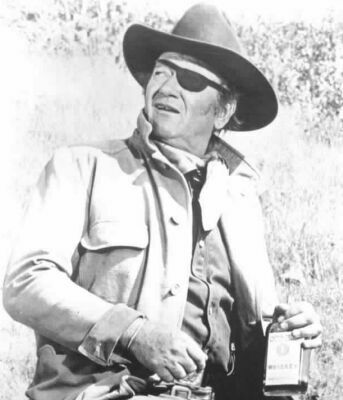 They were playing True Grit with John Wayne – who plays a rough and tumble, rifle totting western tough guy! He is also without sight in one eye and wears an eye patch. It’s black like mine! For lunch today we decided to order a meal from the Vietnamese restaurant across the street. It is under new management and the place is cleaner and the food is just as good or better. I told Wendy that I would run across and grab it. I was wearing my eye patch. I think I’ve started a new fashion statement. For the most part I’ve been happy with blogspot, but it has some limitations so in considering a second or alternate blog I thought I would share my love of photography and the record it creates of our lives. Secondly, my two boys are into wordpress, we use it at work and so….